There is another key factor in creating a successful marriage, or repairing one that has deteriorated. This also involves communication – the interchange of ideas between two individuals. 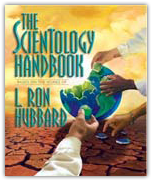 In Scientology, there is a test for sanity and comparative sanity which is so simple that anyone can apply it. What is the “communication lag” of the individual? “Lag” means an interval between events. When asked a question, how long does it take him to answer? When a remark is addressed to him, how long does it take for him to register and return? The elapsed time is what is called the communication lag. The fast answer tells of the fast mind and the sane mind, providing the answer is a sequitur – something following logically; the slow answer tells of less ability and sanity. Marital partners who have the same communication lag will get along; where one partner is fast and one is slow, the situation will become unbearable to the fast partner and miserable to the slow one. Further, Scientology when applied will be more swiftly active in the case of the fast partner and so the imparity under processing will grow beyond either’s ability to cope with the matter. There is another way of cutting communication which happens when jealousy is involved. It is the largest factor in breaking up marriages. Jealousy comes about because of the insecurity of the jealous person and the jealousy may or may not have foundation. This person is afraid of hidden communication lines and will do anything to try to uncover them. This acts upon the other partner to make him feel that his communication lines are being cut; for he thinks himself entitled to have open communication lines, whereas his marital partner insists that he shut many of them. The resultant rows are violent, as represented by the fact that where jealousy exists in a profession such as acting, insurance companies will not issue policies – the suicide rate is too high. The subject of the application of Scientology to marriage could not be covered in many chapters, but here are given the basic clues to a successful marriage – Communicate!